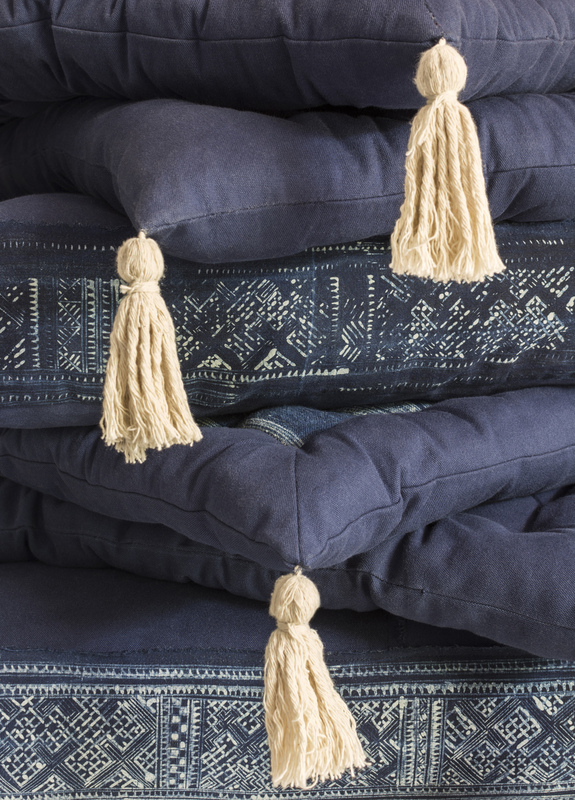 Unique, one-of-a-kind, our floor cushion collection is made with 100% cotton canvas and accented with vintage indigo hemp and cotton. 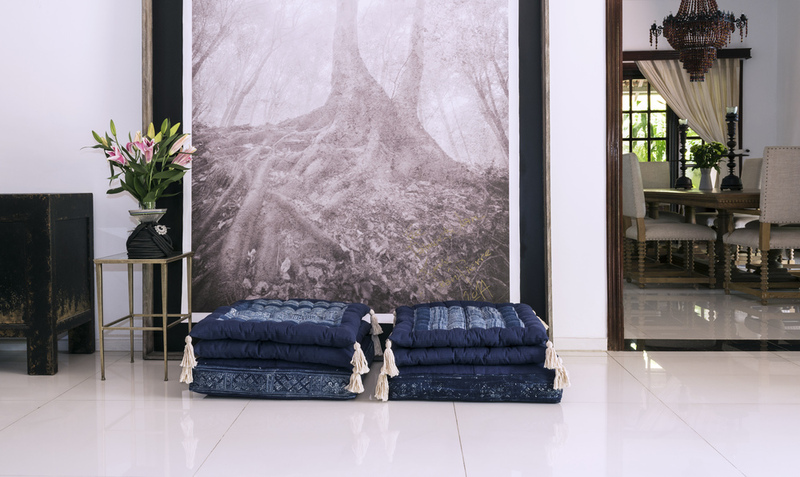 Using centuries-old handcrafting techniques, the hemp and cotton have been skilfully handwoven, batiked and dyed by rural women in their homes. They make a cool, versatile addition to any interior décor, adding pots of personality without committing to a big piece of furniture. 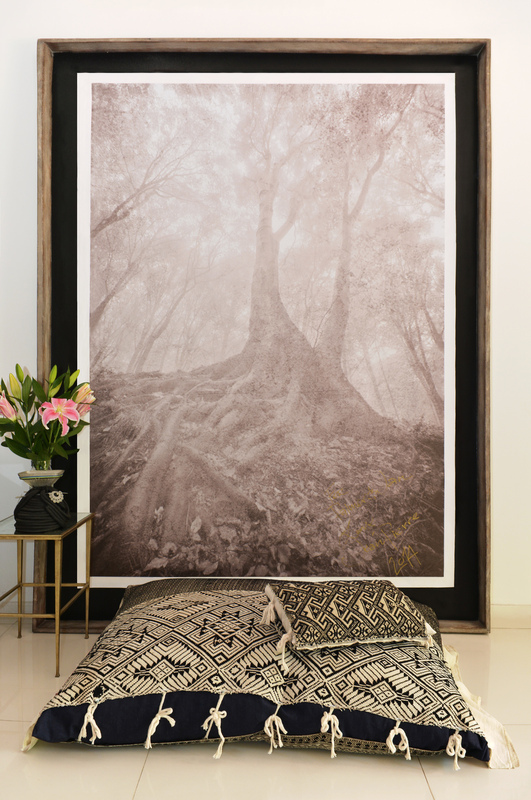 Each one has a history, adding a sense of soul to any room in your home. • Arrange a few around a coffee table for casual seating. • Use as floor pillows for lounging. 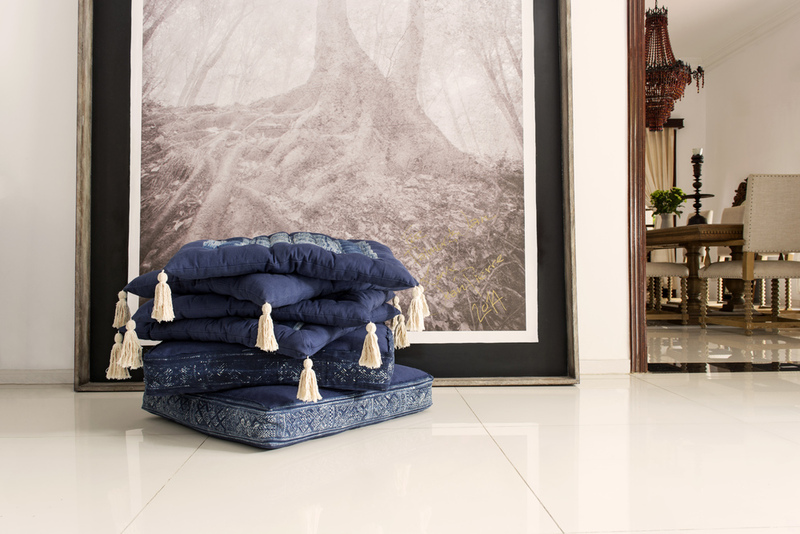 • Stack a couple of poufs together in the kids' playroom for extra seating. • Add a punch of colour in a corner space. Available sizes: 26"x26"x5" and 26"x26"x3"